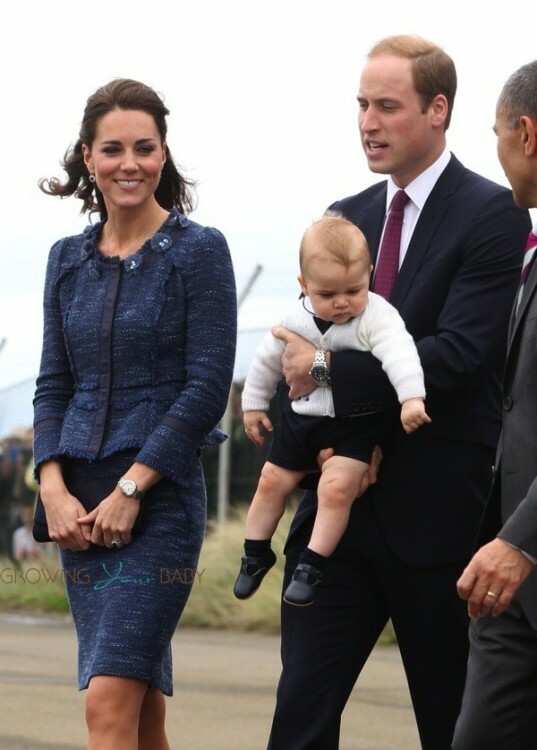 Home » William, Kate and Prince George Say Goodbye To New Zealand; Hello To Sydney! After spending nine days touring the island, The Duke and Duchess of Cambridge said goodbye to New Zealand and boarded a plane to Sydney with their son Prince George on Wednesday. 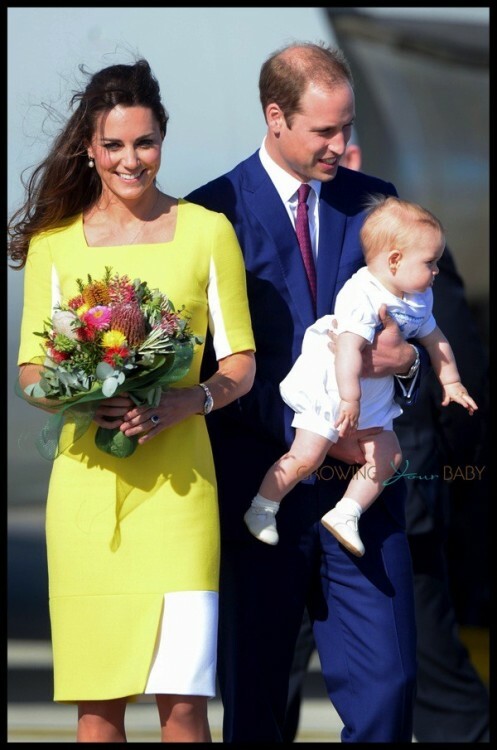 During the almost 4 hour flight Catherine(Kate) changed out of her Rebecca Taylor suit into a yellow dress by designer Roksanda Ilincic. Off to tour the city immediately, Kate and William attended a reception at Sydney’s iconic Opera House to mark the start of their 10-day tour of Australia. Afterwards they went on a walkabout around the steps of the famous building greeting the crowds. In a speech at the reception, The Duke said that he and his wife had been looking forward to the visit for a long time and how The Queen held the nation in high affection. “Her Majesty spoke recently of how, since her first visit here 60 years ago, she has been privileged to witness Australia’s growing economy and flowering self-confidence. “I don’t think I could finish these brief words to you without mentioning one other family member, George, who is now busy forging his own link with Australia. The palace’s official website reveals that the eight-month-old Prince is expected to make an appearance on Sunday when his parents take him to Taronga zoo in Sydney where an enclosure housing bilbys – a rabbit-like marsupial – will be named after him.